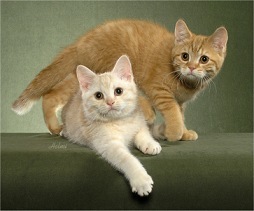 These cats are the same colors as the solid cats. 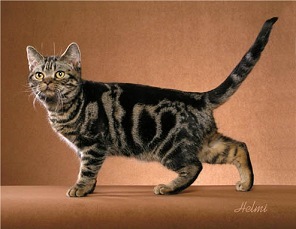 The only difference is the addition of stripes - called tabby markings. 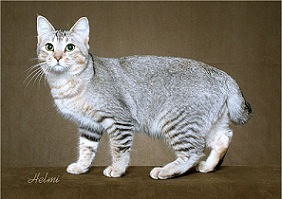 The silver tabby is the only tabby that does not also come in solid. 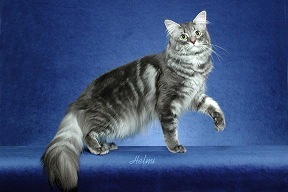 Silver is a variation of black that is only seen in tabbies. Even within each of these colors, there is a wide range of differences. Some reds have a deep, mahogony color while others are very light. Blues can have a very light, powdery blue shade or be almost a navy blue. 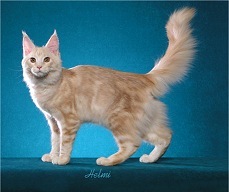 Tabby patterns are usually more distinct on a shorthaired cat than on a longhaired cat. 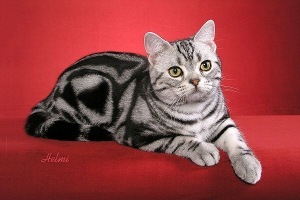 Many people think that all tabbies are also with white. 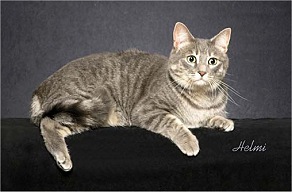 A very common feature of all the tabby patterns is a white chin. 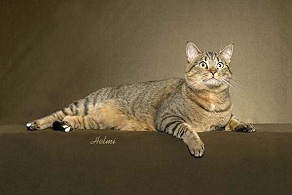 Tabbies also have white around their eyes that is called "eye liner". 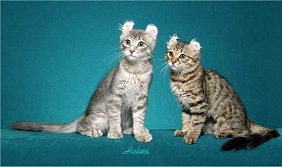 NOTE: The color and pattern names used are the official names used by The International Cat Association (TICA). 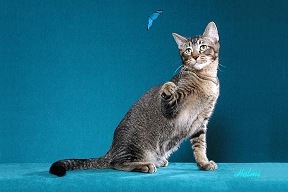 The most common tabby pattern is named after the fish! 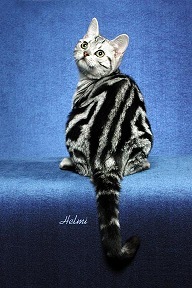 A good description of the vertical stripes that run parallel on the cat's sides. 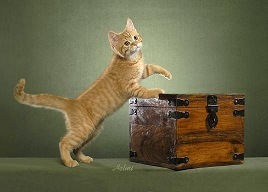 Some people also refer to mackerel tabbies as "the guys in the pinstripe suits"! 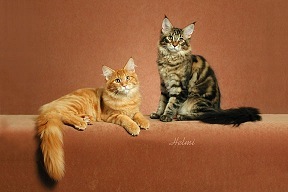 The very small amount of white on this fine fellow on the left does not mean that he would be registered as a tabby "with white". The spot on his neck is called a locket. He also has a little bit of white on his toes! Often referred to as a "Bulls-Eye" pattern. 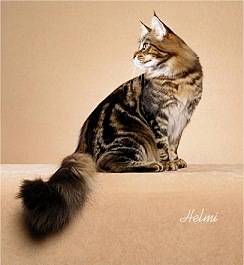 The stripes are much wider than a mackerel tabby's stripes with a circular pattern on the sides. 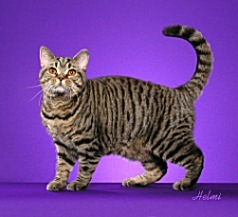 These tabbies will also have broad stripes running down the middle of their back. 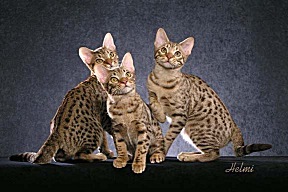 Instead of lines that create a pattern, spotted tabbies have small individual spots. 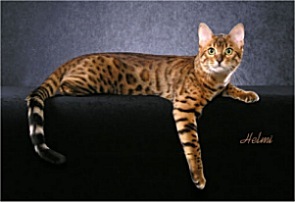 Bengals have a brown color and variation of the spotted pattern that is not seen in other cats. 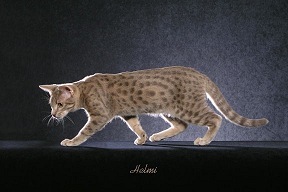 The spots occur in a random pattern and vary in size. The spots can be solid. 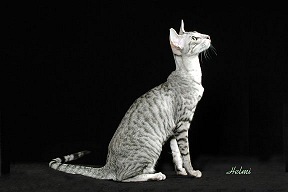 Spots that have a dark outline with a lighter color in the center are called rosettes. 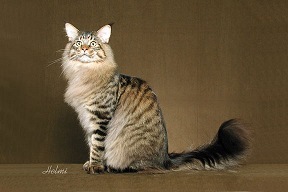 Instead of a pattern on the body, every individual hair is ticked - has bands of color on it. 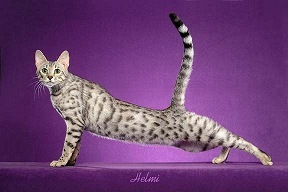 In purebred cats, some breeds are allowed to have stripes (called bars) on their legs and face. 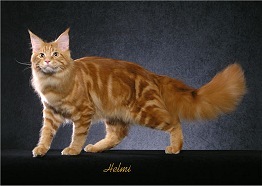 Other breeds are required to be totally free of any barring. With Whites: Any of the above with white added. 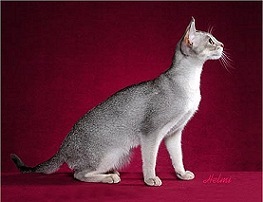 The term particolor means any cat with white. 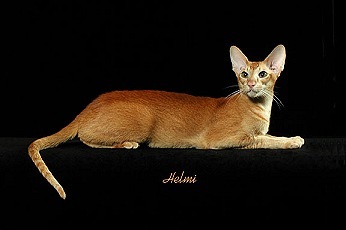 Or return to the introduction to What Color Is Your Cat?